It’s their job to risk life and limb in the name of adventure, but these daring souls aren’t immune from everyday phobias. Explorers, extreme sports professionals and other career daredevils race down mountains, hang out with some of the world’s most dangerous animals and risk their lives daily, so you’d think they’d be pretty hard to scare. Surely mundane stuff like spiders and clowns are nothing compared to a triple spin off a mountain on a snowboard? To test this theory, we asked four of the most adventurous people on the planet (whose Instagram feeds will also give you serious wanderlust) if anything actually scares them. And guess what – it turns out they’re human after all. With a DSLR, a wetsuit, her oxygen tank and an iPhone, Catherine Capon and a photographer cruised by boat around the majestic Mexican island of Guadalupe. 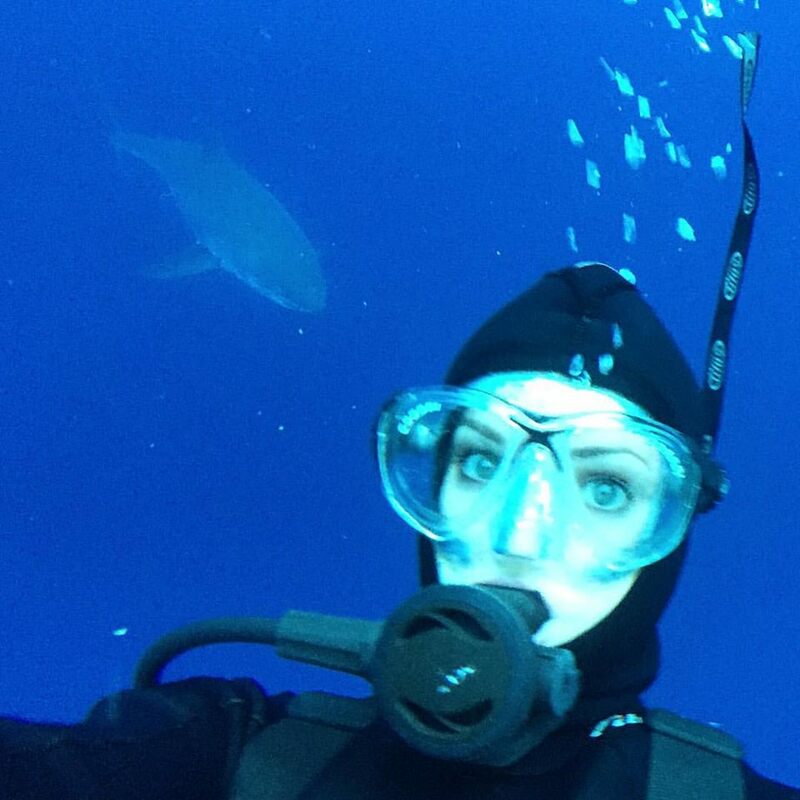 An environmental activist who travels the world writing and sharing footage of her adventures in nature, Capon had another goal beyond her traditional photography or filming: She wanted to be the first to live-stream herself swimming cageless with great white sharks. Back in London, the creators of MyEye — the live-streaming app Capon had planned to use — anticipated her broadcast. Yet they knew it might never come. She’d hit the biggest roadblock to extreme sports live streaming: a decent mobile phone signal. “It’s going to be difficult out in the middle of the ocean to get massive mobile phone signals,” Justin Mier, chief operating officer of MyEye, told International Business Times the week before the planned broadcast. Man-eating sharks, venomous giant lizards and snakes that can swallow a human whole; these don’t sound like the type of animals you want to be on the same continent with, let alone getting within a few metres of. However, in 2015, I’ve made it my mission to meet some of the most ‘deadly’ creatures on our planet to see whether they deserve their scary reputations. 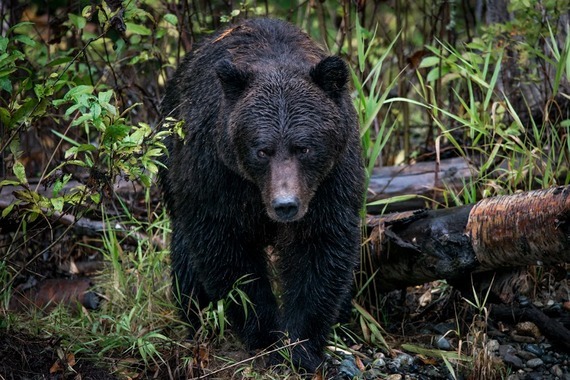 When it comes to wildlife, man has a habit of exaggerating stories to make them sound more impressive but this can be an unfortunate practice when it comes to other animals at the top of the food chain. Yes, every year people are killed by wild animals but you’re far more likely to die in an accident in your own home than at the jaws of a carnivore. Most of the time, if you listen to your guides, act responsibly and abide by a few rules, ‘dangerous’ wildlife watching can be a fun and thrilling experience. Below I have listed 6 animals that I’ve encountered this year. Would you be brave enough to visit them? The largest snake in the world has been depicted as a monster for decades in films and literature. However, I shared the water with a female anaconda that was over 4 metres in length earlier this year, and would highly recommend the experience to anyone who is fascinated by reptiles. 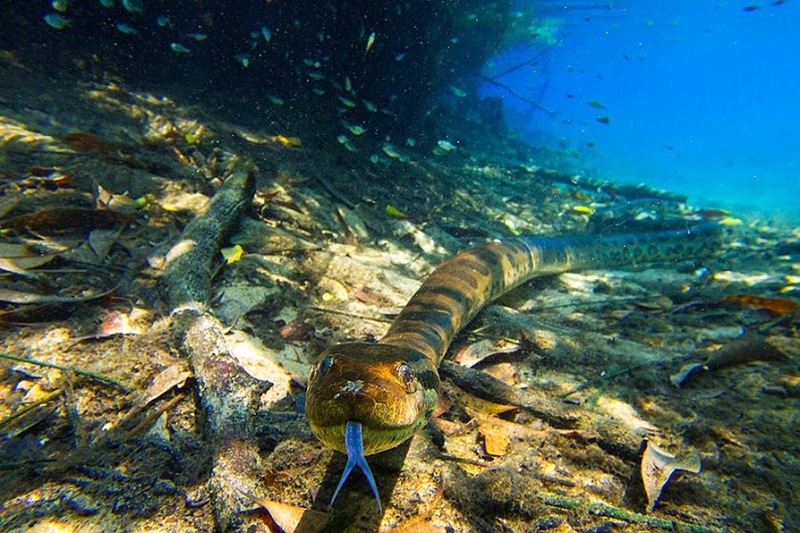 Bonito in Brazil is the best place in the world to dive with these mammoth serpents because of the crystal clear water. Anacondas very rarely attack adult humans as they have to swallow their prey whole and the diameter of the average person is an intimidating size. If you then include your extra diameter with SCUBA tanks on your back, it’s obvious why nobody has ever been attacked by an anaconda while diving with them. August is the best month to dive with anacondas and my guide was Daniel De Graville. 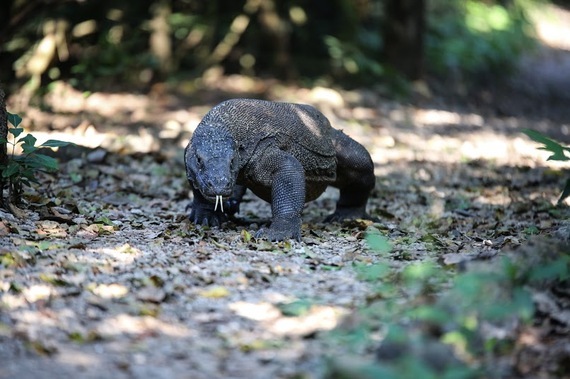 These are the largest living lizards on earth and at 10-feet long, these giant reptiles, with their loose leathery skin and mouths dripping with toxic, bacteria-filled salvia, are an intimidating sight. I visited the islands of Komodo and Rinca (where the dragons can be found) in May this year and gained a healthy respect for these animals. Attacks on humans are not unheard of. However, as cold-blooded animals, the dragons are more active at certain times of the day. A good time to visit is first thing in the morning when the dragons are warming their scales in the early sun. They’ll be out in the open at this time and fairly still for photographs. If you stay a safe distance and listen to your guide, you’ll be awe-struck by these mythical looking monsters. I booked my trip to see the dragons with Inspired Escapes. Viewed by some as beasts to avoid at all costs, and by others as cute teddy bears, the truth is probably somewhere in-between. I recently visited British Columbia in Canada to see the Grizzlies and was astounded at how close we could get to them in a drift boat without the bears reacting at all. In September they feast on the spawning and dying salmon to fatten up for their winter hibernation. The individuals that I encountered have been habituated to humans and paid us little attention. It was a great opportunity to watch them play fight and select the fattiest parts of the fish to eat. 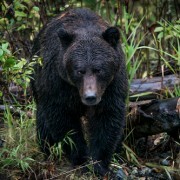 I stayed at Tweedsmuir Park Lodge which I found via HelloBC. Although predominantly herbivores, many people are afraid of gorillas because of their sheer size and strength. However, these enormous apes are actually very reserved towards people. They will only attack if they are surprised or threatened. 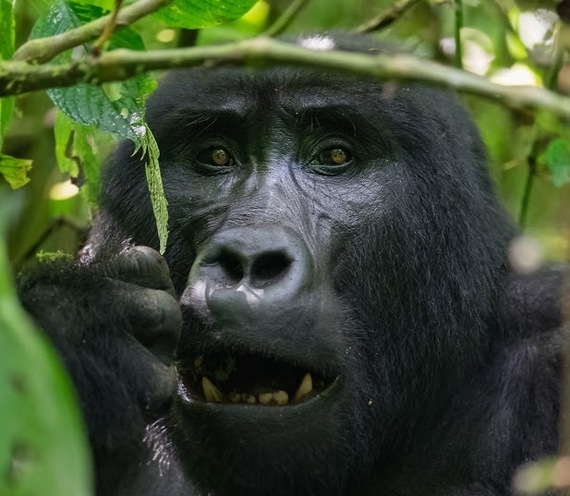 Most ‘attacks’ are simply bluff charges by a silverback and, if you behave submissively, the gorilla will usually go back to eating leaves straight after. I visited Bwindi National Park in Uganda to see the wild mountain gorillas, and by abiding by a few rules, I had a completely life-changing experience. I booked my trip to Uganda with Inspired Escapes. 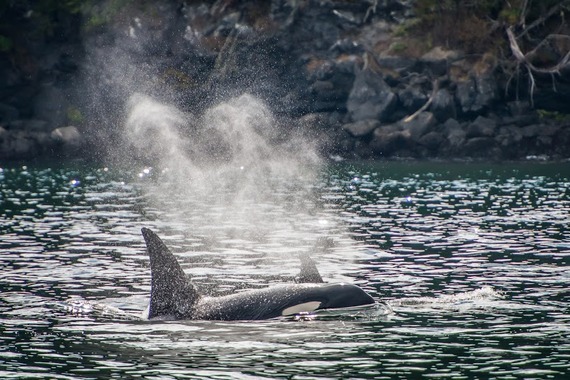 Otherwise known as ‘Killer Whales’, these apex predators have a very diverse diet that includes fish, seals, dolphins, squid, rays, larger whales and even great white sharks! However, there has never yet been an incident of a human being killed by an orca in the wild. I recently visited British Columbia to see the orca and can now honestly say that they are my new favourite animal. 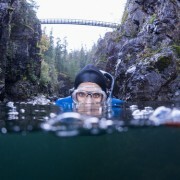 In Canada you can view orca by a boat or kayak but I’ve heard of a place in Norway where you can dive with them. My goal for next year! I went whale watching with Nimmo Bay Wilderness Resort and booked through the Mantis Collection. I’ve been in the water with many different species of shark in the past and have also cage dived with great white sharks in South Africa. 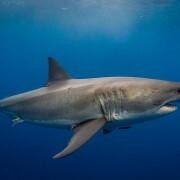 However, next week, I’m pushing my limits by travelling to Guadalupe in Mexico to dive with the most feared creatures in the ocean without a cage. You can follow me on Twitter and Instagram @CatherineCapon to see how I get on!